In case you didn’t know, procrastination is a really bad idea. This post is going live in about 13 hours and I have absolutely no idea what to write. I blame this on the fact that my high school reunion was last night and I had more to drink than usual. I’m functioning, just at a much much slower speed. Apparently my creativity is still sleeping. It was pretty easy for me to chose a recipe for this months Secret Recipe Club. I was assigned An Italian Cooking in the Midwest. Before I even clicked on Pola’s blog, I immediately knew that I wanted to make an Italian dessert and hoped that there would be some choices for me. Then as soon as I saw tiramisu, I knew it was what I would make. I’ve only had tiramisu a handful of times, the first time being on an impromptu trip to the beach. We went out for dinner and it was one of the rare times I wasn’t too full for dessert. The waitress highly recommended the tiramisu so I had to try it. 1. Place the mascarpone cheese and sugar in a bowl and beat until light and fluffy. Add in the egg yolks one at a time until fully combined. 2. In a separate bowl, beat the egg whites on high speed until stiff peaks form. 3. Quickly dip the ladyfingers into the coffee and place side by side in an 8×8 baking dish. Break the ladyfingers as necessary to cover the entire bottom of the dish. 4. Gently fold the mascarpone mixture into the egg whites until fully combined. Spread half of the mixture on top of the ladyfingers. 5. Top with another layer of coffee-dipped ladyfingers and the remaining mascarpone mixture. 6. Sprinkle the top with cocoa powder. 7. Refrigerate until fully chilled. The original recipe says to put the ladyfingers into a square dish, which I assumed meant an 8×8 dish, but I didn’t have enough ladyfingers to make three layers. I’m also wondering if there are different kinds of ladyfingers. The ones I purchased were very light and tasted like angel food cake. I couldn’t even dip them in the coffee without them starting to fall apart. I thought I remembered them being a bit sturdier. Either way, I thought the tiramisu turned out nicely and I really enjoyed eating it the second day when all of the flavors had really become enhanced. Your tiramisu looks fabulous! I bet your really enjoyed eating this one. You most likely used the right ladyfingers. They do turn to mush in an instant and they do not taste like much on their own. Mmmm, tiramisu! there's a dangerous temptation to eat it all myself. Thank you. 🙂 I found them in the bakery section but the store also said they had them in the cookie aisle. I thought the cookie aisle ones might have been a bit heartier but apparently not. Best. Dessert. Ever. Delicious and pretty dessert for the SRC. Thanks! Tiramisu is a classic. Great choice! 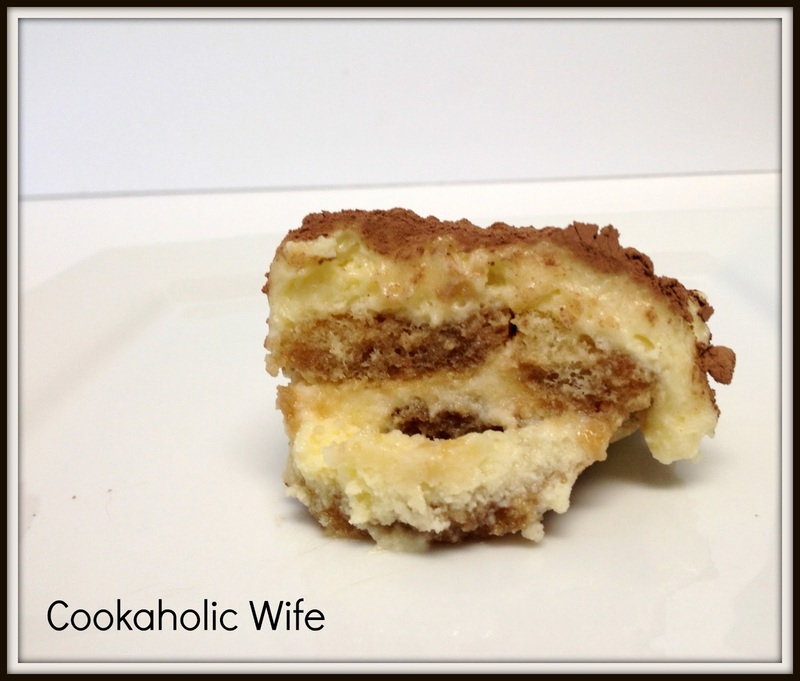 i've never made tiramisu, but this version looks amazing and sounds easy enough!